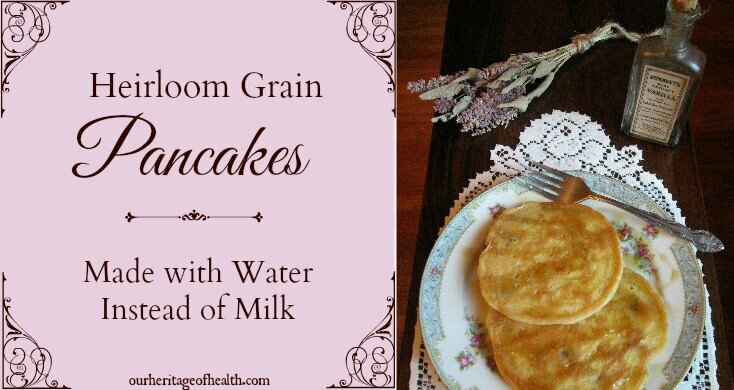 These are pancakes made with water instead of milk, so they’re perfect for anyone who can’t have dairy or for any times when you might realize that you’ve run out of milk just when you want to make a batch. This recipe uses butter, but if you wanted to make the pancakes completely dairy-free, you could substitute coconut oil for the butter. 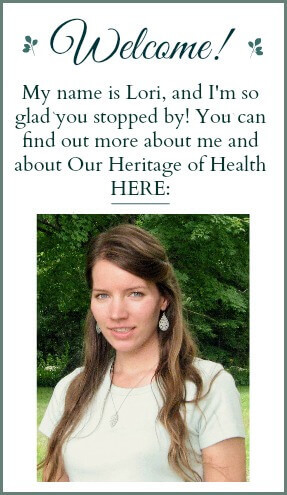 Note: As with all recipes, organic and natural ingredients are best if possible (eg. butter from grass-fed cows, unrefined sugar and salt, pasture-raised meats, etc.). I’ve included links to some of the brands that I like to use and would recommend. I used einkorn flour to make these pancakes, but other flours (like spelt, sprouted whole wheat, all-purpose flour) should work just as well. I have not tried any gluten-free flours with this recipe, but if anyone feels like experimenting, let us know in the comments how it worked! Optional handful of chocolate chips, chopped nuts, blueberries, etc. If you use a cast iron skillet like I do, go ahead and put it on a burner turned onto medium heat so it can start to warm up. By the time you’ve mixed the batter together, the skillet should be just about the perfect temperature for cooking the pancakes. In a large mixing bowl, combine flour, salt, sugar, and baking powder, stirring well to combine. Add the water, vanilla, and melted butter, stirring lightly to combine. Beat the eggs lightly (I just whisk them for a minute or two with a fork) and add to the batter, folding them in and making sure that all ingredients are well incorporated. Add optional chocolate chips (or any other ingredient you want to use like chopped nuts, blueberries, etc.) and stir again to combine. Recipe makes between 10-12 pancakes, depending on size. There is something wrong with the proportions on this recipe. 1c of water to 2.4c of flour is not nearly enough to make pancakes. I had to add an extra 1.5c of water just to get this to a consistency of pancake batter. As written, the recipe yields a batter the consistency of dry bread dough. What type of flour did you use when you made them? Whole grain flours absorb more water, so if you used a whole wheat flour then that might have dried out the batter some. I usually use either einkorn or all-purpose flour when I make these, and 1 cup of water is enough for 2 1/4 cups of flour. The consistency of this batter is a bit thicker and dryer than some other pancake recipes are, but it shouldn’t be as dry as bread dough. I used a combination of White Lily AP flour and a store brand AP flour. Most pancake recipes I have followed in the past have a 1:1 ratio of liquid (milk or buttermilk) to flour, or often slightly more liquid than flour. 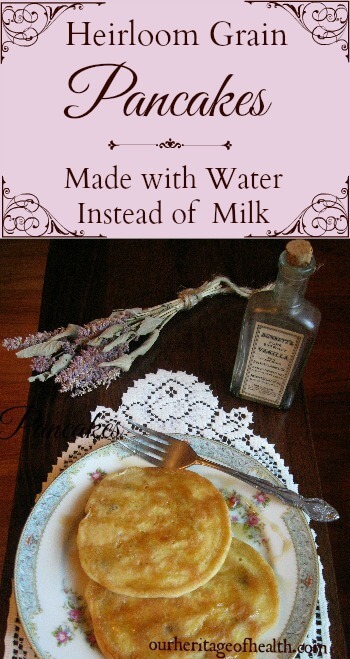 I thought I’d try this as I didn’t have any milk on hand and was looking for a tasty water-based recipe. I ultimately ended up adding an extra 1.25c of water. Perhaps that’s just my modern taste buds! 🙂 Thanks for the recipe and for your website. That’s really interesting that you used AP flour and still ended up adding the extra water. I must just be used to pancake recipes that have thicker batters. I guess that shows how flexible pancakes can be if they can still turn out even with the difference in liquid!